Bizzy Bee Babies is a little online shop that brings cuteness and comfort together in their cotton t-shirts and onesies, designed for babies and toddlers. All of these cute baby shirts are 100 percent cotton and include appliqués or cute lettering. 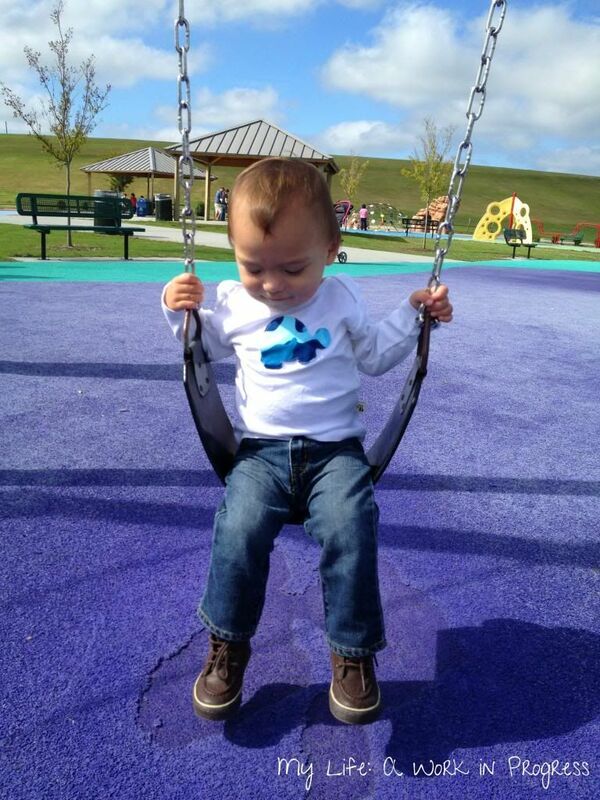 Sizes range from 0-3 months all the way up to 18-24 months. Bizzy Bee also sells cotton pants and combos of tees with pants. Don’t see what you’re looking for? 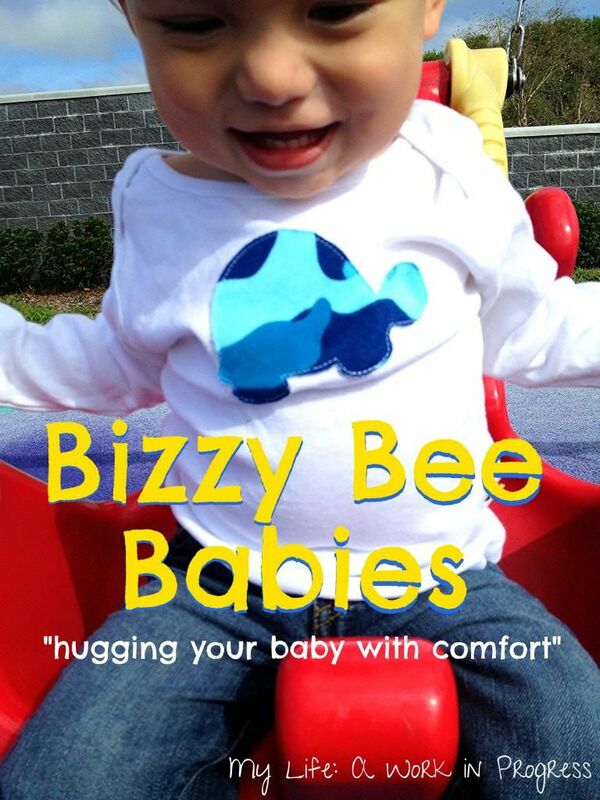 Use the contact form on the Bizzy Bee Babies website to see what’s available for special order. I’ve been washing the shirt on gentle with cold water and hanging to dry, and so far no issues. Alternatively, you could probably dry the shirt on low, but I think the appliqué will look better for longer if the shirt is hung to dry. It’s a very cute shirt and very soft. 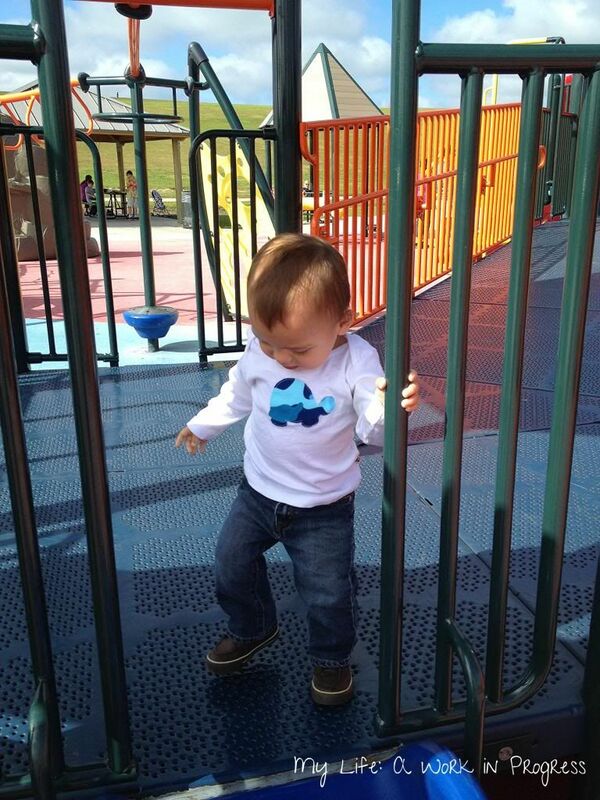 The size is 18 to 24 months, and as you can see below, my 17 month old has plenty of room to grow. It’s an adorable shirt and perfect for the cooler fall weather or to layer in the winter. I also love that it’s unique, but probably my favorite thing about the shirt is the shoulder design. The expandable shoulder panels (or whatever the official term is!) allows me to get this shirt on and off, and over my son’s big head without hurting him or drawing the process out. No complaints here! It’s a great shirt. If you’re looking for the perfect baby shower gift or present, check out Bizzy Bee Babies. Show them some love on Facebook and Twitter. 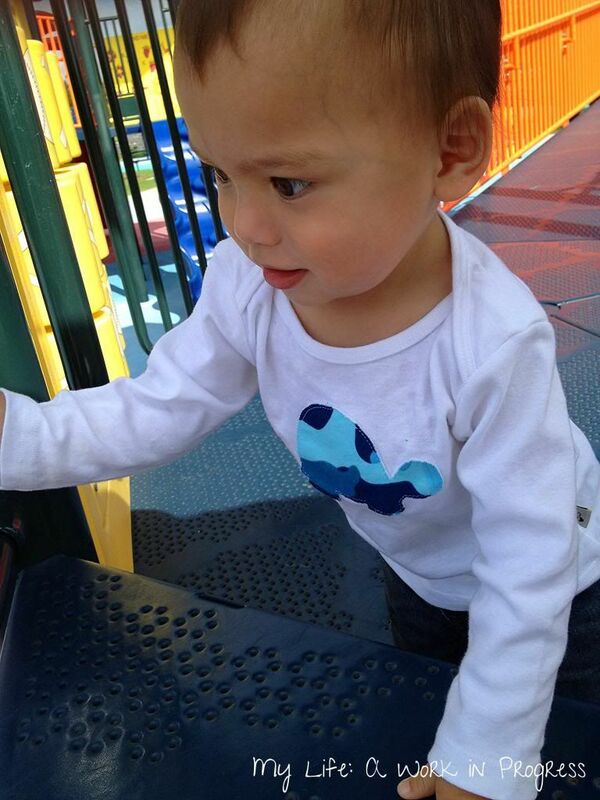 Want to win a shirt for your own little one? Click HERE. (Giveaway open 10/17 t0 10/31). SO CUTE! And it looks comfortable too. That’s a winning combination in kids’ clothes. Adorable shirt and great pictures! I am currently looking for baby shower and baby gifts for my nieces first baby who will be here in February. Her shower is in December! These are so cute-I will be going to enter and see if I happen to win! That shirt is adorable! Such a cute pattern. What a cute and comfy little shirt!! Cute shirt – even cuter model! I love the little turtle design! What a cutie! Definitely love the design of this tee!